If you are a preschool or kindergarten teacher you probably hear, read, or say the words Developmentally Appropriate Practice (DAP) a lot. Or maybe you just hear it and haven’t really ever fully understood what it means. When I started teaching Pre-Kindergartenin a child care environment I had a degree in elementary education, and I was never taught about DAP, I had to learn that on my own. Many preschool teachers ( maybe you) enter into the field from other industries after staying home with their own children and have little if any formal instruction in ECE. 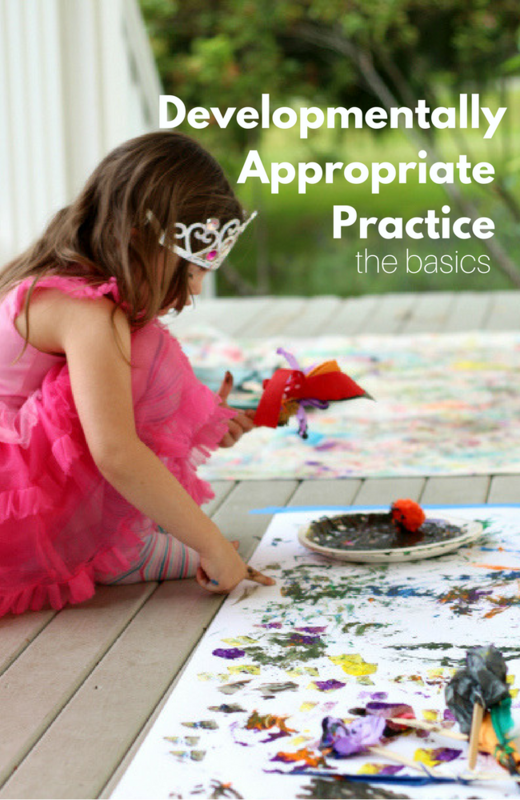 That is why I wanted to share a very basic overview of what Developmentally Appropriate Practice is and more importantly how you can follow it in your early childhood classroom. To read NAEYC’s full position statement on DAP click here. 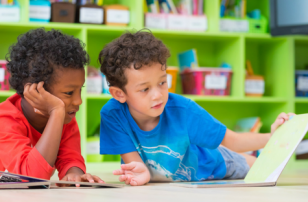 The guidelines that Developmentally Appropriate Practice lays out are child-centered actions that early childhood educators can follow to provide the best learning environment and provide the best practice for teaching children zero – eight years old. These guidelines are what we call researched based which means that they have been developed through research about how children learn. 1. Teachers and early childhood programs serving young children must understand how children learn and develop. How do YOU do that in your classroom? 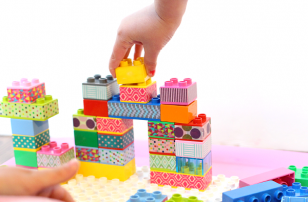 Many preschools offer staff little to no budget for professional development. This means it is up to teachers to seek out and find information on their own. Luckily, there are wonderful resources available to become more proficient at understanding development and how children learn. The five sites listed below are five trusted sources I have and do use for my ongoing education in child development and learning. Tip: Sign up for newsletters and stay on top of new research, new trends, and topics facing early childhood education. To best educate a child you must know that child. 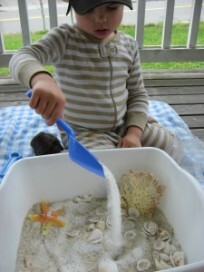 I advocate focusing on connection through play because learning improves, and so does the behavior. Teachers need to know what students like, what students are capable of, and how they are developing and learning. How do YOU do this in your classroom? Through ongoing assessment and adjustment of activities and curriculum. Before you say you can’t assess a toddler, and you don’t want a preschooler tested, let me paint a picture of what developmentally appropriate assessment looks like. It can be through play; it can be sitting next to a 3-year-old at the play dough table and talking about what you are making. It can be recalling a book you read earlier in the day while pouring water in the sensory table, and watching your toddlers on the playground to see if they are alternating their hands and feet as they climb on the play structure. As a preschool teacher, you should always be observing and assessing, but there is no need to test your students. Meet them where they are and support them to the next step when they are ready, individually. 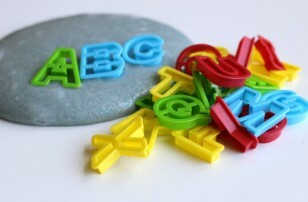 One morning in my classroom I put out the play dough and added letter tiles to the table. Nearly all my students who were 2.75 years – 3.5 years at the time spent some time at the table exploring. Some children ignored the letter tiles completely, they were uninterested in letters and used the play dough and other tools at the table to squish and create. 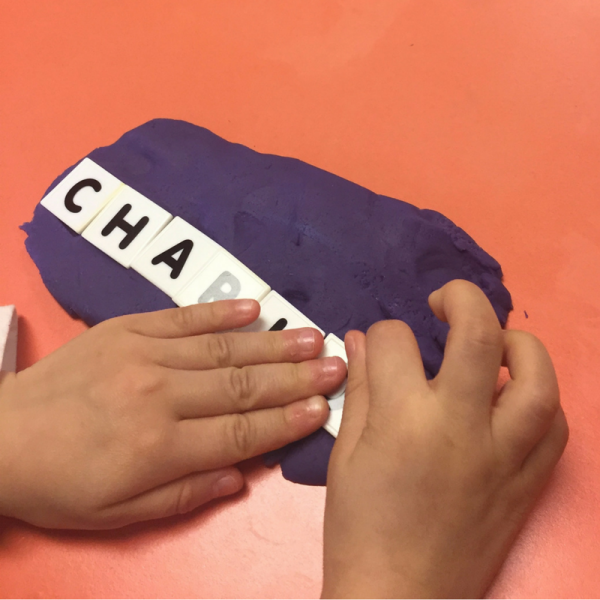 Other children hid the letters in the play dough and identified them ( some correctly, some not), some used the tiles to spell invented words, and one used them to correctly spell her name. I didn’t tell any of the children how to use these materials; I played with them scaffolding their learning when they were open to it. 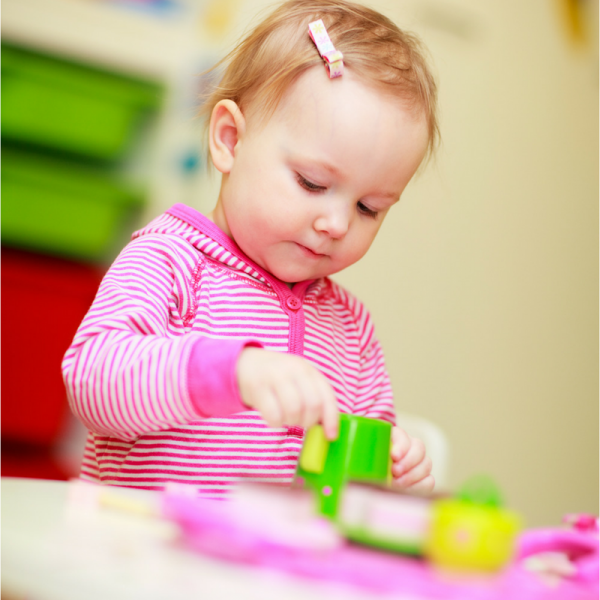 Play is key to being able to easily differentiate and meet individual needs in the preschool classrooms. Culturally appropriate is often the part of DAP that teachers struggle with. This seems like a big task for many teachers but it can be simplified to mean that early childhood educators take the time to understand where a child is coming from, to build strong home school connections, and to use that information to make the child’s learning experience more meaningful. Children learn better when the topic or task is meaningful. – Book bags with books parents can read and with their child and return to school. For Spanish speaking parents investing in some popular board books in Spanish is well worth it if the budget allows. – Create a family photo wall and use it for activities. – Invite parents in to share a favorite recipe or other family tradition. – If possible meet with families in their home to learn about their strengths and talents that they can offer to your classroom during or outside of school hours. – Offer family activity nights at your school that is outside of any parent-teacher conferences. In addition to these ideas having one or two primary teachers in a classroom is important. Communication is key to understanding and giving parents one or two teachers to connect with allows them to build trust and a relationship that helps children with and without challenges. Here are more ways to make communication with parents simple. 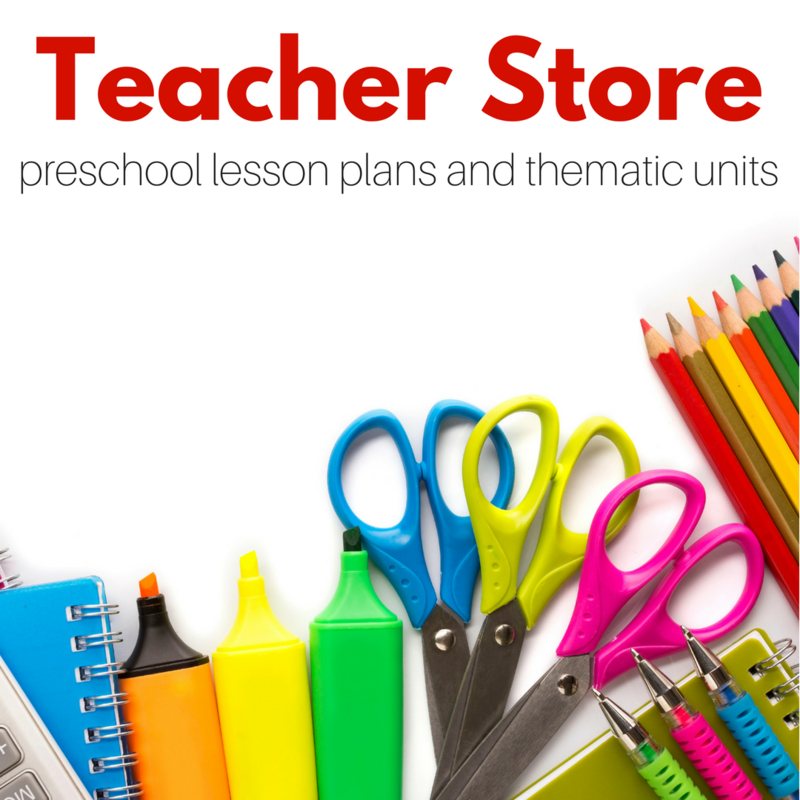 You may hear that desks, or worksheets, or flash cards aren’t developmentally appropriate for preschool but the main tenants, the basics are the three areas we covered. Specifics like the use of worksheets or flash cards fall into understanding development and learning and treating the child individually. In a future post I will tackle these more carefully but for today remember to keep learning about development, look at your students where they are and think of how you can help them get to the next step, and remember to consider, connect with, and respect their home culture.